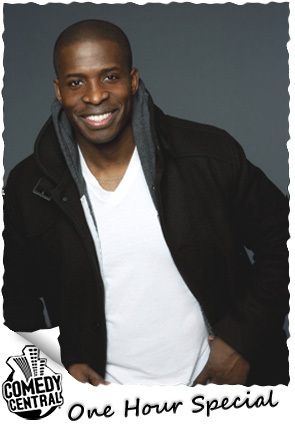 GODFREY is one of the hottest comedians on the circuit performing all over the country and hitting all the major festivals. His talent has landed him a deal at Fox to develop an animated sitcom based on his life, and Comedy Central is eagerly anticipating this taping of his first one hour special! Godfrey has a recurring role on FX's hit show Louie, and has credits that include 30 Rock, Soul Plane, Chelsea Lately, Zoolander, and many more. His viral video, "White Woman's Workout", has been viewed over 1.5 million times.